Patient and Family Advisors are valued partners in our health system. Advisors have the opportunity to influence institutional decision-making that will affect thousands of patients and families at the CVC, simply by sharing opinions, advice and expertise as health care “consumers”. By improving care and creating friendlier services past Advisors have noted that knowing they made a difference in someone else’s life was the most rewarding aspect. The CVC is seeking insight regarding all aspects of cardiovascular care. We are looking for families who represent a variety of clinical experience, and reflect racial, cultural, religious, socioeconomic, and educational diversities. We are interested in members who are willing to speak freely of both positive and negative experiences. Do I have the qualities of a good Family Advisor? The Family Advisor must also have had a personal experience with cardiovascular care. Most terms are effective for 12 months; however, the CVC offers many opportunities to meet diverse interests and time availabilities. Patient and Family Advisory Council (PFAC): Patient-family Advisors and staff address patient-family experiences and concerns, and seek solutions to improve care. PFAC oversees the CVC PFCC program. Review Panel: Advisors will review and evaluate designated materials, which may include patient videos or print materials. Projects can be done via email or US postal service. Public Relations: Advisors would participate in panel discussions and/or educational classes to express personal experiences and stories. These events may also be videotaped pending Advisor permission. Think Tanks: Smaller work groups (6-8 family members) who focus on specific CVC programs. These groups are often issue driven formed on an as neededbasis and may include patients, families and staff. Survey Advisors: Advisors are responsible for providing feedback on surveys relating to cardiovascular services. Work may be completed via email, US postal service or telephone. The patient and family advisory council is the core of the PFCC Program. This council of patients/families and faculty/staff works together to identify solutions and implement change to improve healthcare. For further information, please see Advisor Opportunities, below. Amenities and Space: Participants within this committee strive to improve patient and family satisfaction through focusing on visiting policies, waiting rooms, and other amenities. Information and Education: Family members passionate about improving how information is both presented and communicated to patients work to evaluate and review designated materials related to patient education. Security and Safety: Members focus specifically on security issues affecting both patients, family and staff members within the CVC. Continuum of Care: This group is devoted to establishing smooth transactions for patients when moving throughout the health system. This includes examination of discharge planning, coordination of appointments, and clinical handoffs. Customer Service and System Recovery: Participants work with staff to outline ideal customer service within all clinical venues. Being a PFCC Advisor is a rewarding experience that allows you to make a difference for years to come. 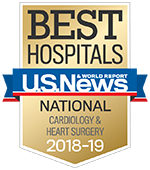 Whether or not your experience at the Cardiovascular Center was world class or slightly below average, your input is valuable. Anyone who has experienced care within one of our cardiovascular services is encouraged to submit an application and join our team! You must fill out the UMHS volunteer application theinterview checklist along with our P/F Advisor application.